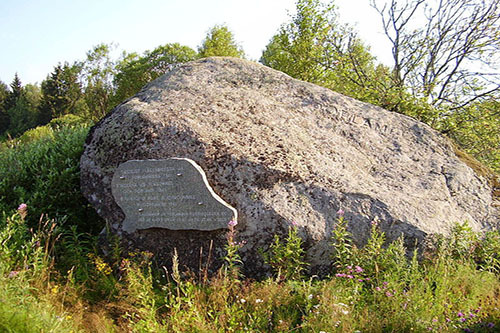 This memorial commemorates the Battle of Porlammi (30 August - 1 September 1941) between the Finnish Army and the Red Army. The battle is the biggest victory of the Finnish Army during WW2. The Red Army lost 7000 KIA, 1000 WIA and 9000 Soviets were taken prisoner. The Finnish Army lost 700 KIA and 2700 WIA.